Q - How do I create an Apple ID? 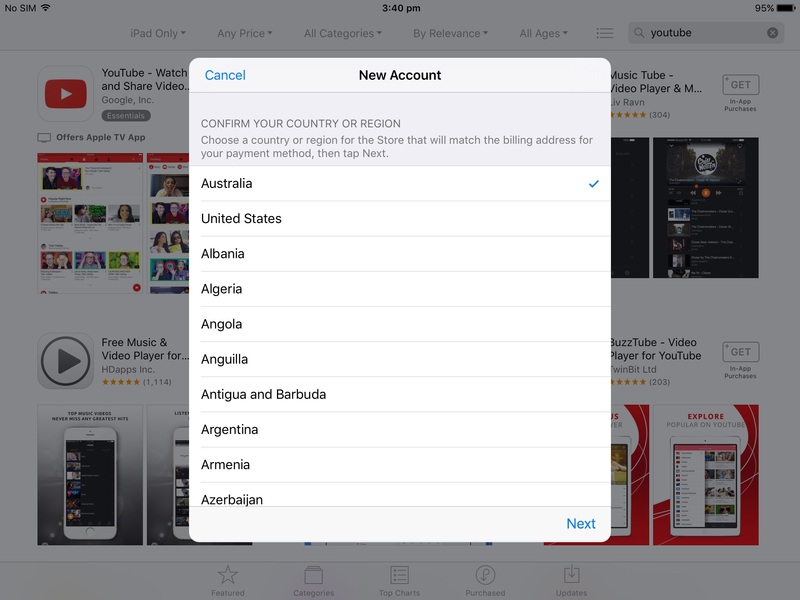 An Apple ID is needed to access the App Store, iBooks and iTunes. 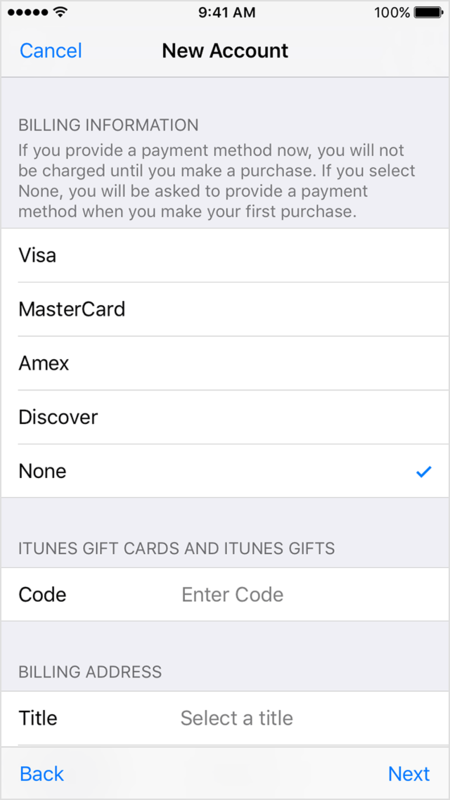 Normally when you create an Apple ID, you will be prompted to add a Debit or Credit Card as a payment type. 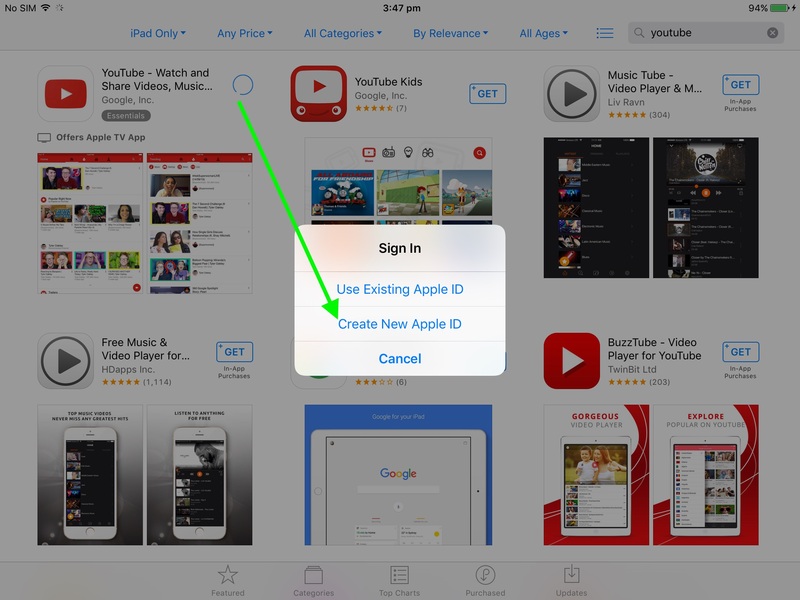 We recommend following these steps to create an Apple ID. By following these steps, this will allow you to select "None" as a payment type, allowing you to add a payment type later when you make your first purchase. 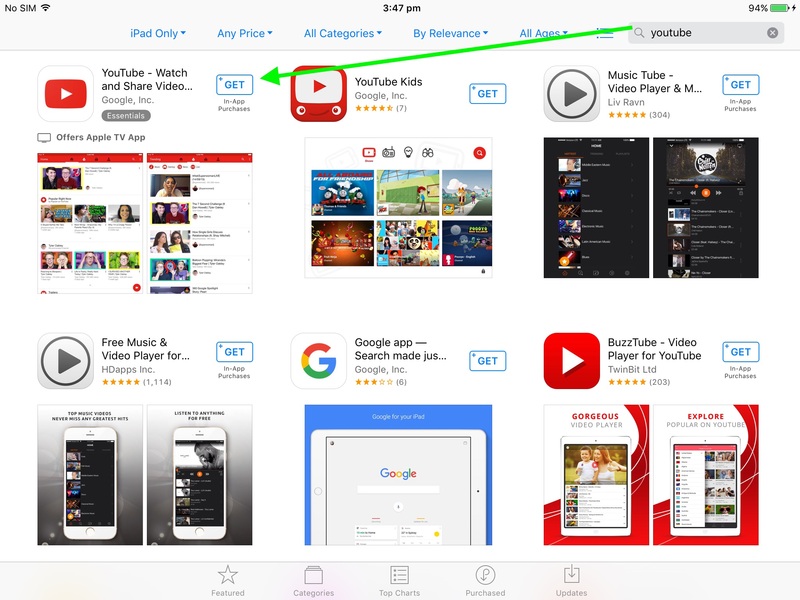 Open the App Store application and search for a free application, such as YouTube. Then tap the Get > Install button. For more details, refer to the Apple links below.